As the temperatures start getting warmer, friends and neighbors start getting out more. So when I run into them, the first question I get is “What have you been up to?”. 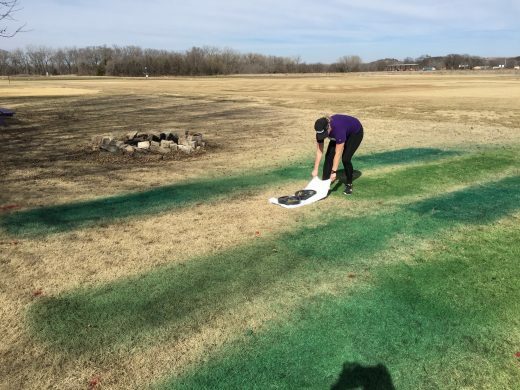 Many times people think winter is slow because the grass is not growing but actually during the winter is when we try and get a lot of things done that we don’t have time to get to in the warmer parts of the year. 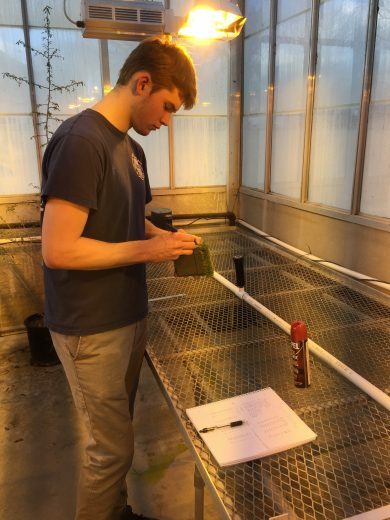 But one thing that we have been up to is undergraduate research projects. In the fall of 2016 I had three students come to my office interested in conducting an undergraduate research project. I told them that the purposes of an undergraduate research projects are; 1. 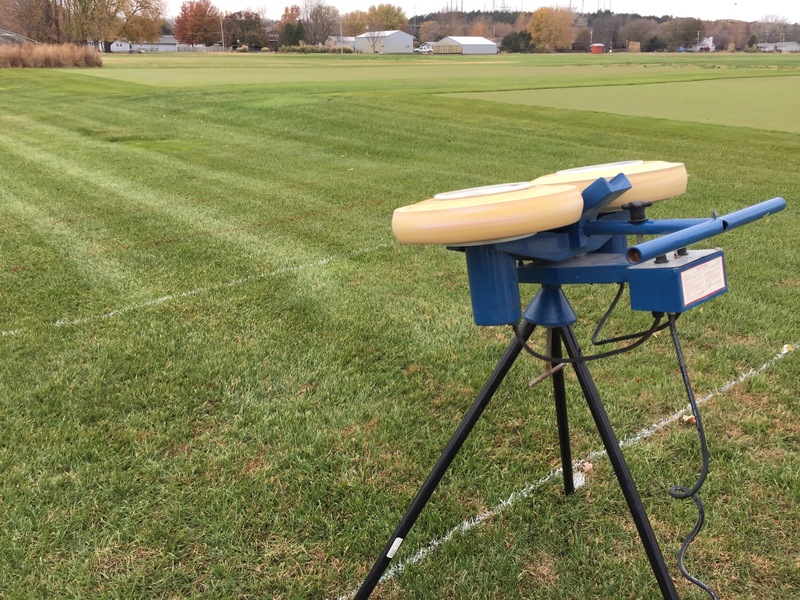 Answer a question for an issue that turfgrass managers face, 2. Learn the process to conduct research and, 3. Relate your research to more than just the turfgrass manager but have a social impact. All three of them agreed then we started brainstorming and came up with three projects. That is what bug spray can do to your turf. 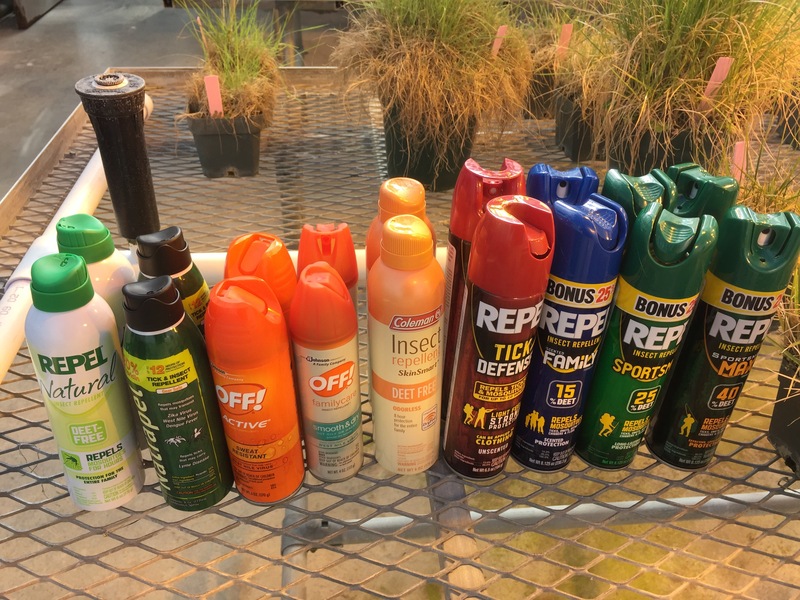 Peyton wanted to look into it more and see if there are differences in not only the bug sprays but if there is recovery. He is currently taking data and we will get that information out there once the project is complete. Here are some pictures of the project. 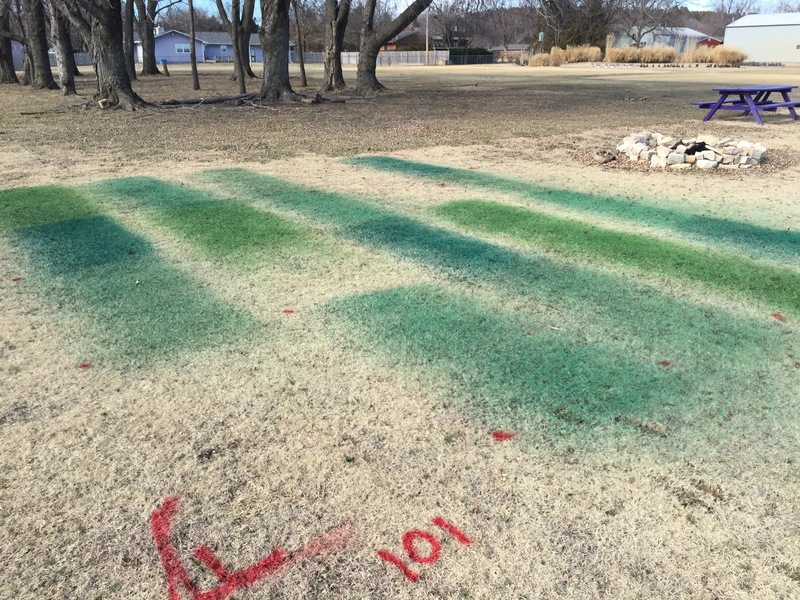 Will Turfgrass Colorants Blemish Clothing? Dani’s research project was inspired by a question I got from in education event this past year. 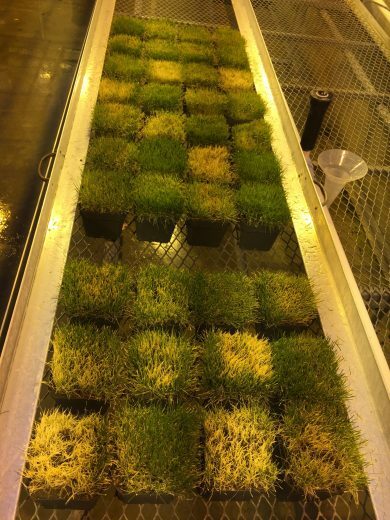 There has been lots of research on turfgrass colorants and how long they last but what will it do to the clothing of the athletes if they fall. 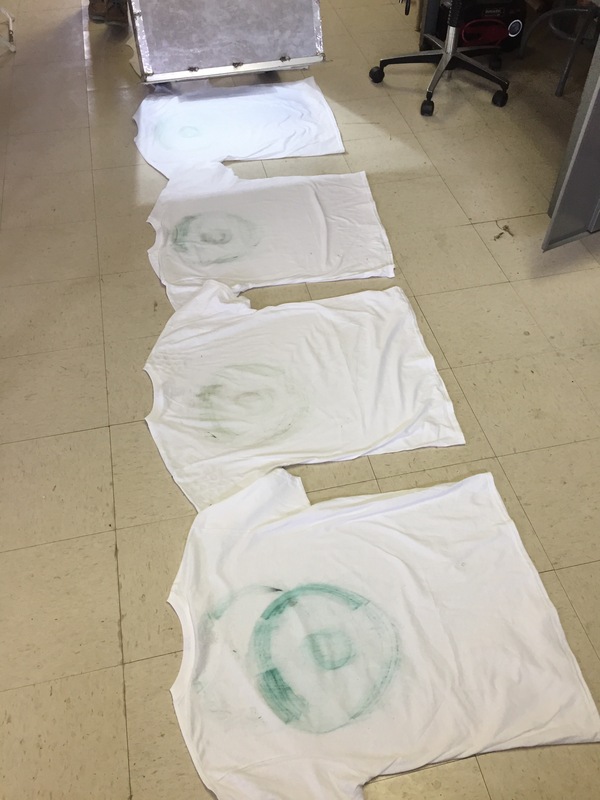 So Dani went out and applied a variety of different turfgrass colorants, pulled clothing across the colorants (after the recommended drying time) and then analyzed how much colorant blemish the clothing. 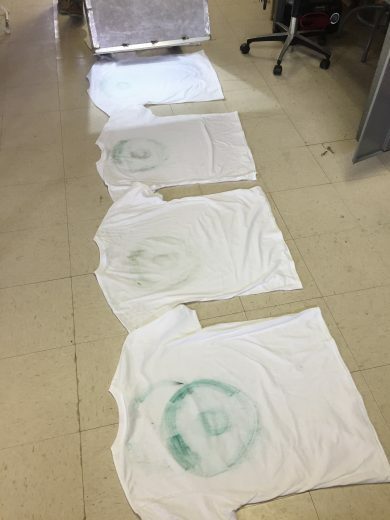 Once her project is complete then we will be able to determine which products to recommend to athletic field managers so they can rest assure they won’t have any phone calls about stained clothing. 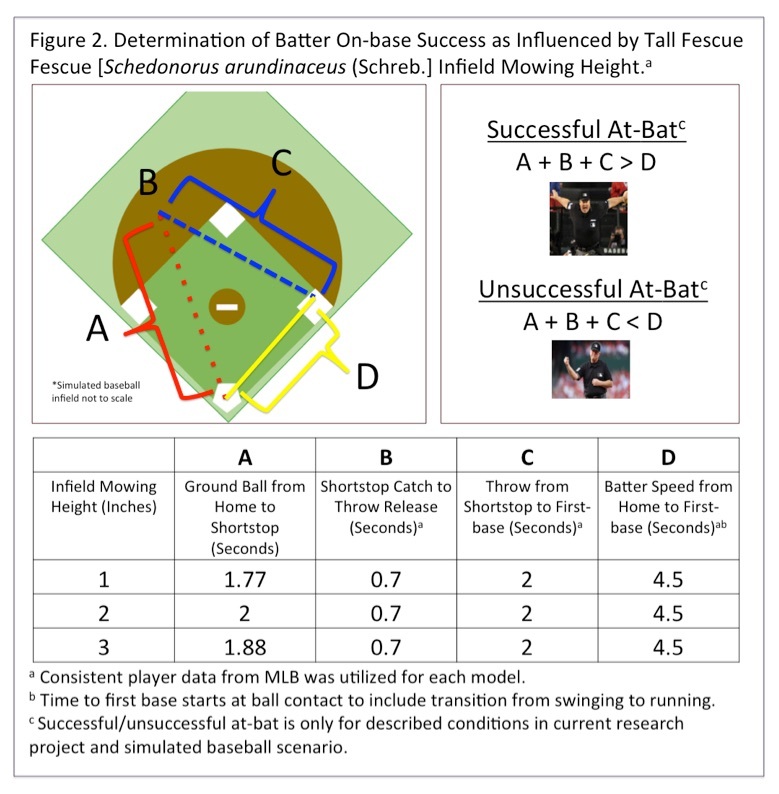 Sometimes there is only a spit second at first base between a baseball batter and the throw at shortstop to determine if the runner is out or safe. 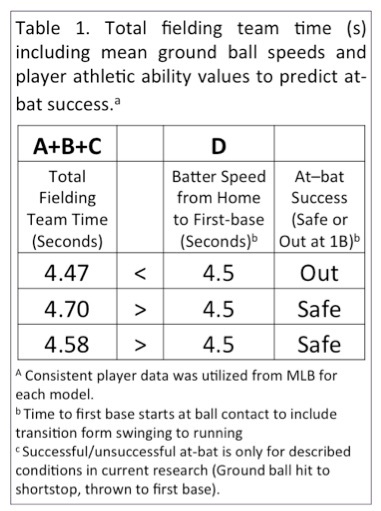 One component of that split second is how fast the baseball moves through the infield. 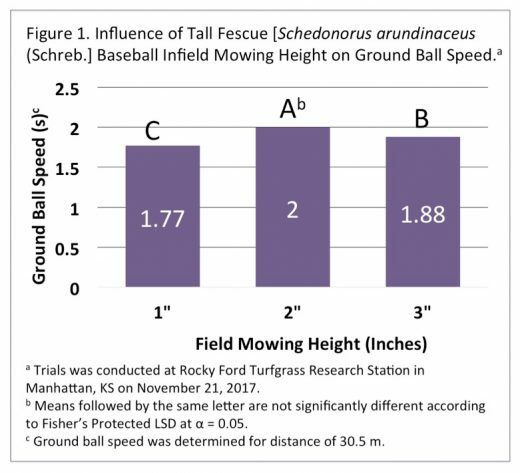 Holding all other factors constant, Gage manipulated mowing height of a simulated baseball infield to determine the speed of a ground ball hit to the shortstop. Then he can predict the out percentage at first base. Gage’s interest in this project not only helps field managers with maintenance of the field but shows how important it is for the coach of baseball team to communicate with the grounds manager. To simulate a constant speed he used a pitching machine that was aimed at the infield. 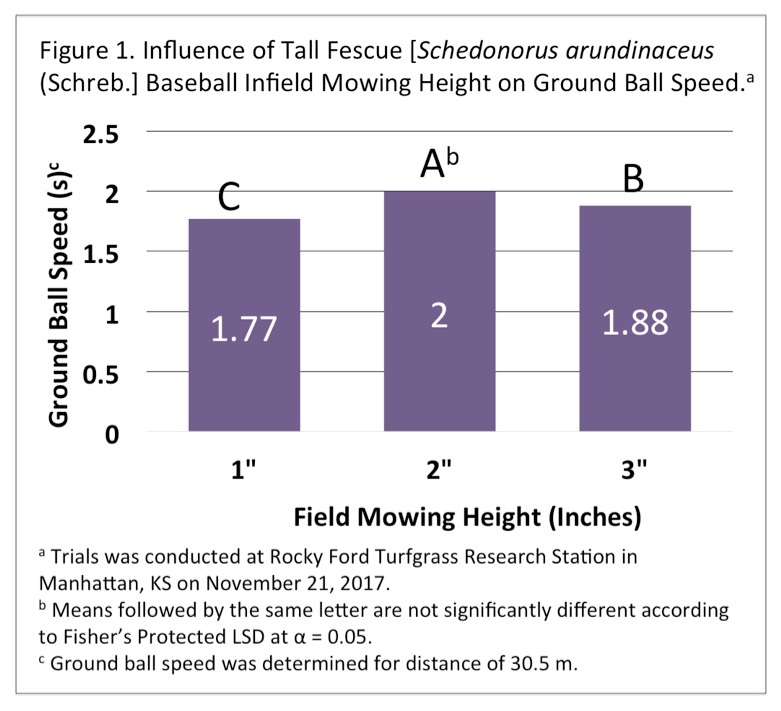 Believe it or not that one slit second can be influenced just by the mowing height of the infield.